A sprawling 25 blocks of downtown San Antonio is distinguished as the historic King William District. 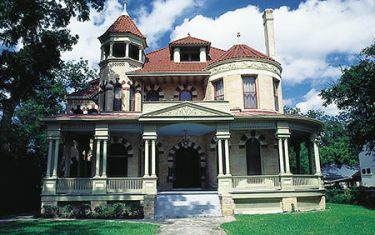 On the south bank of the San Antonio River, 19th century residences have been preserved and often reincarnated into cafes, art galleries, museums and shops. In the late 1800s, the King William District was the most elegant residential area in the city. Prominent German merchants originally settled this district and brought with them a distinct architectural style. It was zoned as the state's first historic district, and remains a fashionable neighborhood. For more information on the King William District, visit our website where you can also download a FREE walking tour map. Happy trippin!